Yes, please send me relevant email communication about CanJam events and from CanJam exhibitors. How many articles have you written in the past 6 months? Which organizations have published your work in the past 6 months?  Which CanJam events are you interested in attending?